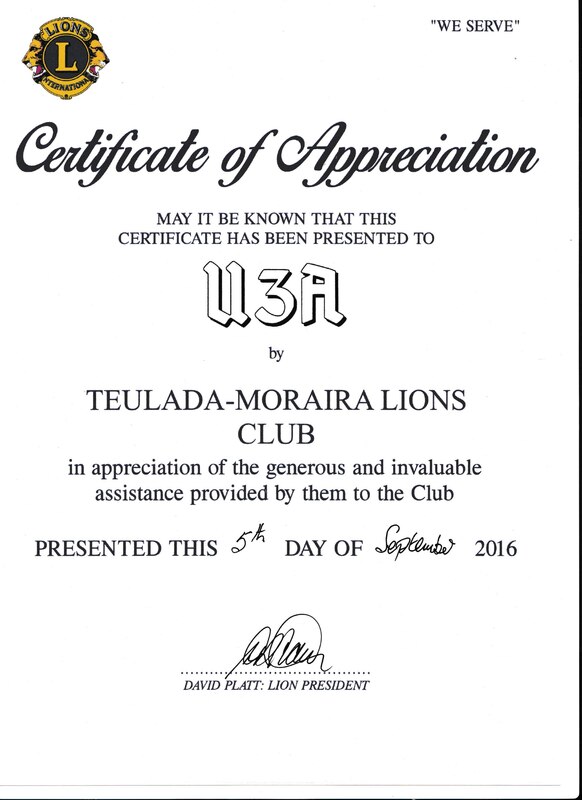 At the General Meeting on Monday 7th November David Platt the President of Teulada-Moraira Lions Club presented members of U3A band of Moraira-Teulada U3A with a Certificate of Appreciation for the performances they gave in June 2015 and 2016 at the openings of the Lion’s Summer Concerts by the castle in Moraira. Those events raised more than €1500 for Lions local charities. 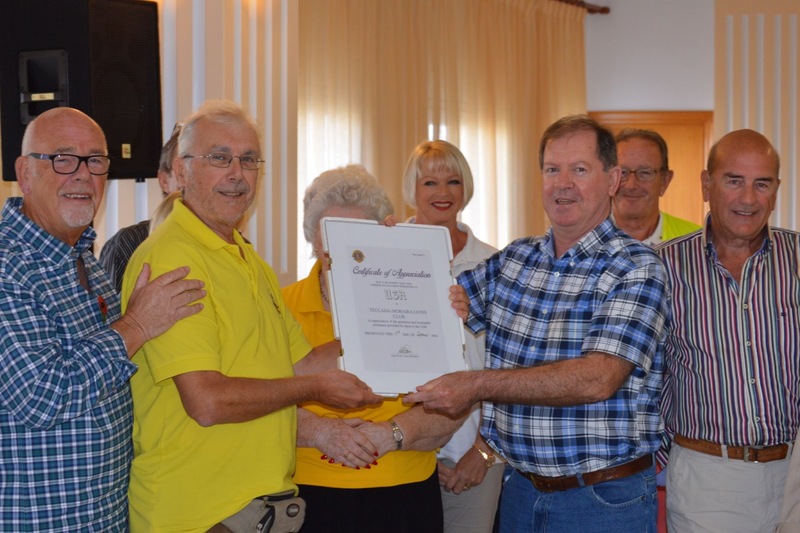 David is accompanied by other members of Lions and he made the presentation to Ian Mair leader of U3A band and other band members present.